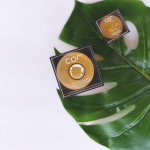 Cor ‘The Silver Series’ range consists of The Silver Soap and The Silver Anytime Moisturiser and Eye Cream and Serum. All products in the Silver Series contain the patented formula of Silver-Silica and centre on the long-known understanding that Silver is one of the best anti-bacterial agents found in nature. Blocking the bacteria’s ability to transfer oxygen through its cell walls, it is used globally by physicians for a whole host of medical purposes. When teamed with Silica, Silver creates an extremely effective delivery system – Silica’s sponge-like nature prepares the skin to accept Cor’s ingredients, drawing the Silver and other natural active ingredients into its particles, richly nourishing the skin. Using the combination of Mother Nature and Silver Science, even the most damaged skin is purified, repaired and hydrated. 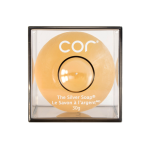 A multi-tasker – Cor Silver Soap provides a single step process that deep cleanses, removes make-up, helps clear skin, reduces pore size, exfoliates, nourishes and anti-ages all in one-step thanks to the antibacterial healing properties of Silver. Combined with the myriad of other patented ingredients that maintain the skin’s natural moisture, The Silver Soap visibly reduce the signs of aging, and protect against the hazardous effects of the sun, it is suitable for sensitive skin and can help reduce acne, scarring and calm eczema-prone skin. Three essential Peptides with Pomegranate antioxidants and Marine Collagen act to refresh and invigorate your skin, leaving it with a natural, dewy and youthful appearance. The Silver Anytime Moisturiser is a lightweight blend which accelerates the benefits of The Silver Soap in turning back the hands of time. 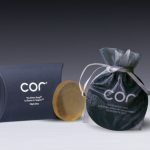 Cor’s patented delivery method works to reach the core of each individual’s anti-aging needs around the eyes. 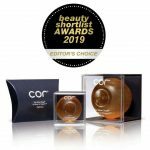 This cream has slow time-release properties, ensuring the benefits of the natural antioxidants in the ingredients can do their work effectively throughout the day and night. The same essential Peptides as the Moisturiser with Pomegranate antioxidants and Marine Collagen act to refresh and invigorate your skin. Ingredients such as Macadamia Ternifolia Seed, Tocopheryl Acetate (Vitamin E), Ascorbyl Glucoside (stabilised Vitamin C) and Rosehip Oil have been shown to rejuvenate the skin, eliminate dry and sagging skin, brighten and stimulate the triggers that effectively turn around and prevent the effects of aging. The serum has slow time-release properties for each of its specialised ingredients. 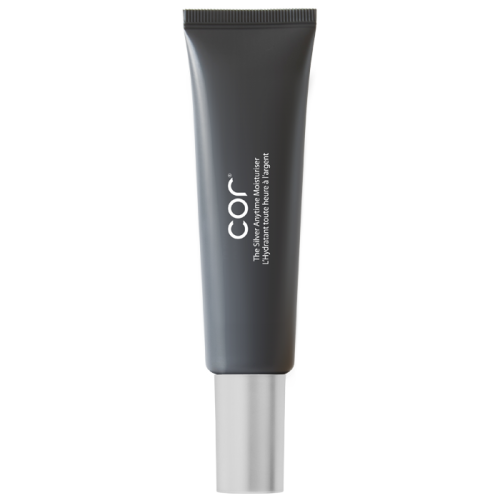 Hydrates and moisturises from within while working to improve wrinkle appearance within minutes of application. It contains the same three powerful Peptides found in the Silver Anytime Moisturiser, increasing efficiency when applied with the Silver Anytime Moisturiser, and includes the special ingredient of Copper Tri-Peptides to improve healing of various types of skin lesions such as scarring, sun and acne damage. It is wonderful base to ensure a smooth and polished make-up finish.